The Panama hat’s ribbon is a reflection of your personality. A hat isn't finished off if the ribbon is missing. The ribbon is a small detail in appearance, but determinant. The ribbon is to the hat, what the tie is to the suit. 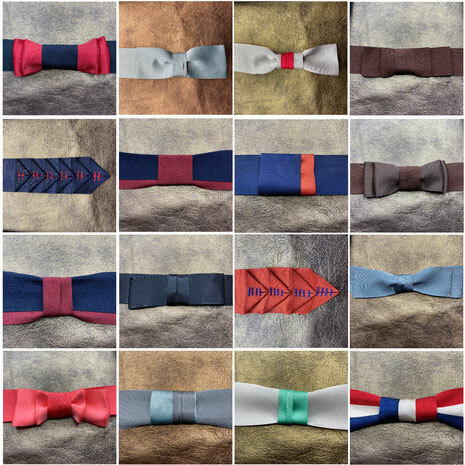 The type of ribbon, the color, the texture, the thickness, the tie, denote the traits of your personality. They talk about you, they talk about your self confidence, about how you feel. That's why choosing a ribbon is like choosing a car. You have to think about which color suits your character best, what thickness balances the size of the wing and the model you have chosen, if you want a tie or something less elegant, and so on. Listed below are some of the ribbons, thicknesses, colors and accessories you can choose from when ordering your hat. However, it should be noted that all my models are available with simple ribbons or with ties in brown, navy blue, red wine, black and olive green. During the purchase you can request a particular type of ribbon to customize your Panama hat.